Daytime syndicated talk show “Rachael Ray” has been renewed through the 2011-12 season after the ABC Owned TV Stations inked a deal to pick up the Emmy-winning show for two more seasons. ABC is trying joint promotion for two of their soap operas One Live To Live and All My Children. Both shows are running story lines that have mothers preparing to give their babies up for adoption. TV Guide Magazine’s Michael Logan talked to Emmy Winner Rick Hearst about his bad boy alter ego leaving General Hospital, his home as Ric Lansing since 2002 and his return to Bold and The Beautiful as Whip Jones. 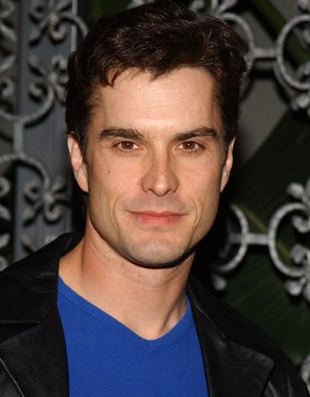 Rick has won two of his three Daytime Emmys as GH’s resident schemer. Look for the character of Ric Lansing to leave Port Charles on June 25. One of the best R&B groups from the New Jack Swing days. Guy started in the late 80s and recently reunited. The Hall Brothers(Damian and Aaron) make up this group with musician , songwriter and producer Teddy Riley. Check out this live clip of songs from a concert they performed last year and see why this group makes the list.